How to watch Steve Jobs: Billion Dollar Hippy (2011) on Netflix Canada! Sorry, Steve Jobs: Billion Dollar Hippy is not available on Canadian Netflix, but you can unlock it right now in Canada and start watching! With a few simple steps you can change your Netflix region to a country like Argentina and start watching Argentine Netflix, which includes Steve Jobs: Billion Dollar Hippy. We'll keep checking Netflix Canada for Steve Jobs: Billion Dollar Hippy, and this page will be updated with any changes. 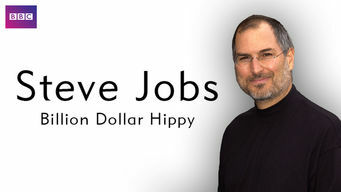 Steve Jobs: Billion Dollar Hippy is not available in Canada BUT it can be unlocked and viewed! Insiders including Apple co-founder Steve Wozniak tell extraordinary stories of the rise, fall and rise again of Apple with Steve Jobs at its helm. The Apple creator was shaped by counterculture values. He believed he could change the world -- with technology. There is a way to watch Steve Jobs: Billion Dollar Hippy in Canada, even though it isn't currently available on Netflix locally. What you need is a system that lets you change your Netflix country. With a few simple steps you can be watching Steve Jobs: Billion Dollar Hippy and thousands of other titles! Watch "Steve Jobs: Billion Dollar Hippy"